Paper comes in different types, with different sizes, weights, thickness and finishes. 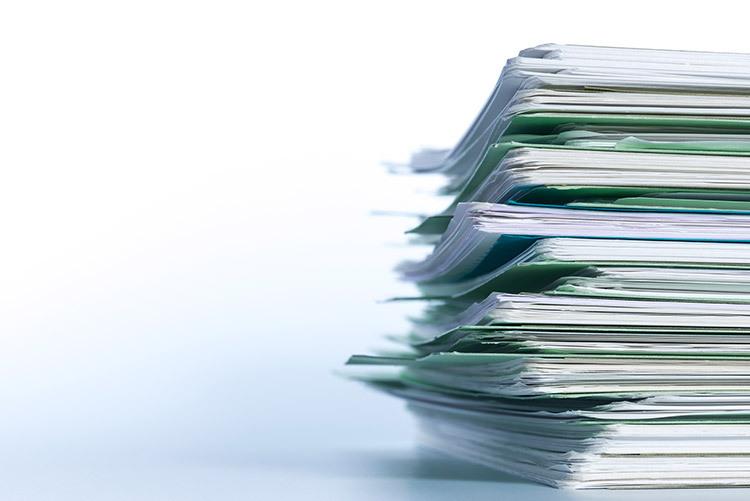 Getting the right types of paper for your office printing needs may be a little complicated. 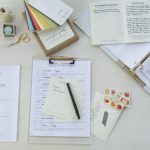 However, grasping the basics of paper types will help you make the right choices while stocking up on your office supplies. Office documents serve different purposes and as such, there are different types of paper suitable for each need. 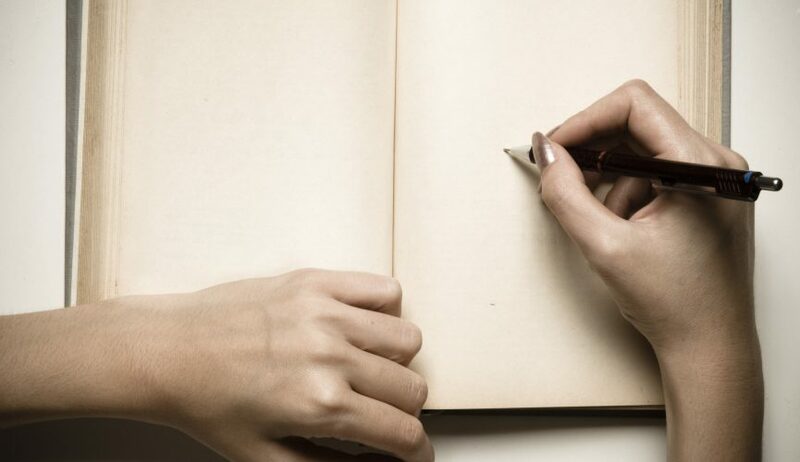 Read on to find out the common types of paper and a brief description of each. Many catalogues and brochures are made from paper. This paper is more durable and is commonly used in electronic printing. The basic size is 17 inches by 22 inches and weight range is between 16 and 36 pounds. The size may also vary slightly. It is commonly used to make letterheads, envelops, invoices or most documents printed using laser and inkjet printers. 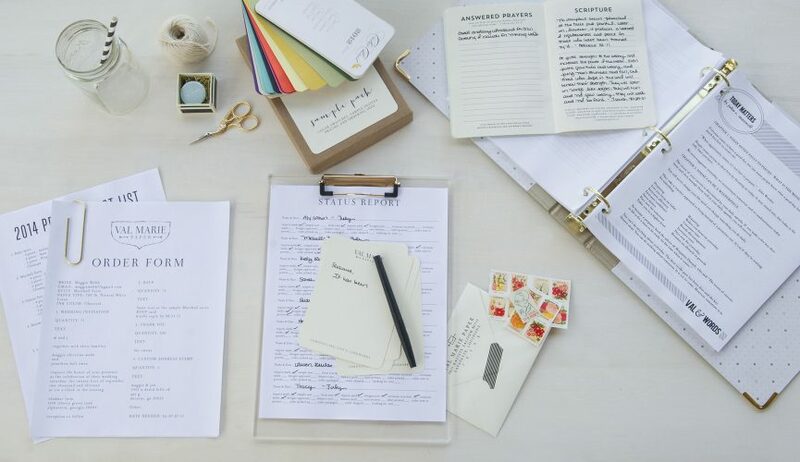 Also known as Bristol board, this paper is a heavyweight, thick and uncoated paper. The basic size is 22.5 inches by 28.5 inches with a 0.006 inch thickness. Its strength makes it perfect for use in making book covers, tickets, brochures, file folders, among others. If you are looking to reduce your environmental impact, then using recycled paper may be one step in fulfilling this goal. It is important to note that recycled paper may be slightly expensive than the standard “virgin paper.” This is because it is generally produced in low quantities and hence, per unit production cost may be high. That said, the paper can be used for printing most office documents such as memos and reports. 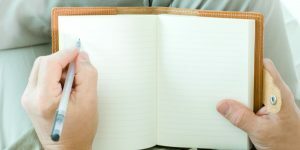 Index card comes in three sizes, 3 inches by 5 inches, 4 inches by 6 inches and 5 inches by 8 inches; and three weights: 90, 110, and 140 pounds. 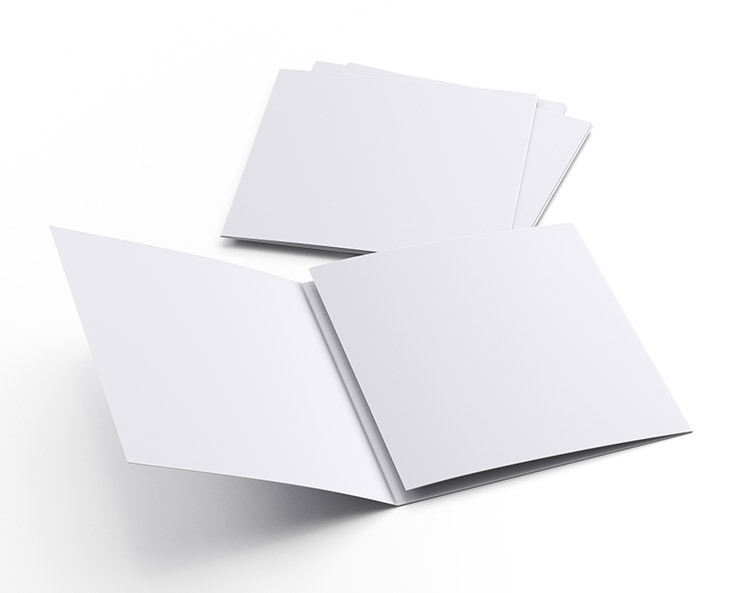 The paper is usually thin and stiff, and is perfect for making magazine inserts, postcards, and index cards. It is budget-friendly and holds ink well, making it ideal for most print projects that require durable paper. This type of paper is tough and durable, making it ideal for frequent handling. It is commonly used in making print hand-tags that can be found on consumer goods. These are uncoated and can be used to satisfy a variety of office requirements such as printing office stationery, letterheads or envelops. They are economical, and with their multiple uses in the office, they make a good choice for normal office use. These types of paper usually come with a clay coating to create a gloss on the paper surface. The coating gives a shining effect and is better in holding ink as compare to uncoated paper. There are two major types of coated papers: gloss coated paper and matt-coated paper. Gloss coated paper is more shiny and hence, can be used in making brochures and flyers. On the other hand, matt-coated paper is not shiny as it is coated with matt instead of gloss. This eliminates the glare that comes from shiny paper, making it ideal for making reports or leaflets. In between gloss and matt, there is silk coated paper with a silky and smooth coating. It has multiple uses, including making magazines and books. Advances in technology have brought a new era where paper use is no longer a necessity in the office. If you chose to go paperless, there are technologies that can be used in place of paper and yield the same results. It is no longer necessary to sign papers using ink to make that contract binding, or to give credibility to an invoice. Hardware such as tablets can be used to create and manipulate electronic documents and ensure that they reach the necessary parties. 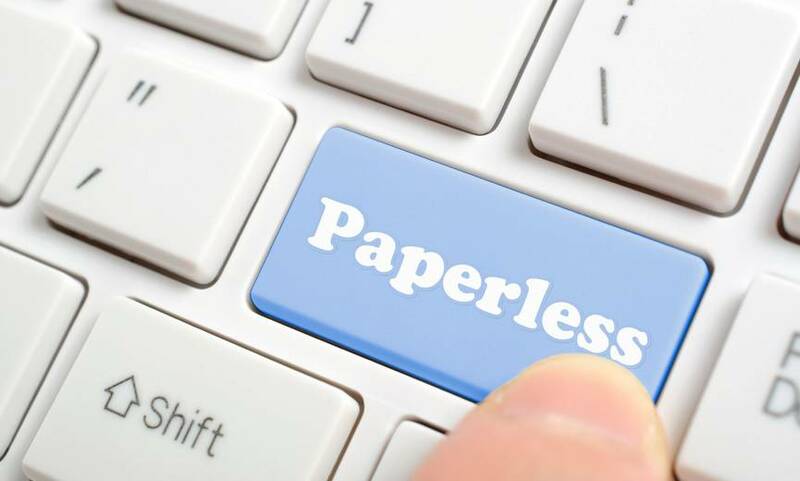 The thousands of tons of waste paper generated each year can be avoided by adopting the paperless initiative. Additionally, going green will not only save you on costs associated with paper use, but also help in saving the environment. So many trees can be saved and at the same time, the greenhouse gas emissions from paper industries can be reduced. Manual filing will also be an issue of the past, and valuable time used to search for documents will be saved. Converting documents into searchable text increases efficiency as the document can be searched and edited by the click of a button. Conducting business online also increases efficiency in reaching your clients. You can bill your clients through electronic invoicing, and save on postage and stamping costs. There are people who are still stuck at using paper and either do not know of alternatives, or they are just scared of going paperless. Well, there are hoards of alternatives that can be used in place of paper. Think about the hardware technologies mentioned earlier. With your tablet PC or smartphone, you can create, update and send invoices to your clients with real time updates. Sending that invoice or any electronic document will require the use of software technologies such as electronic mail or electronic fax. Online fax services are especially helpful in distributing contracts used in law or by real estate agents. Some documents need to be signed for them to hold legal weight. There are software services that can be used to imprint digital signatures using your smartphone of tablet. For documents that need multiple signatures, these can be embedded on the document and shared through the cloud. Going green will eliminate manual filing of documents. In place of that, you are spoilt of choice with the different paperless filing systems to help in managing your documents. 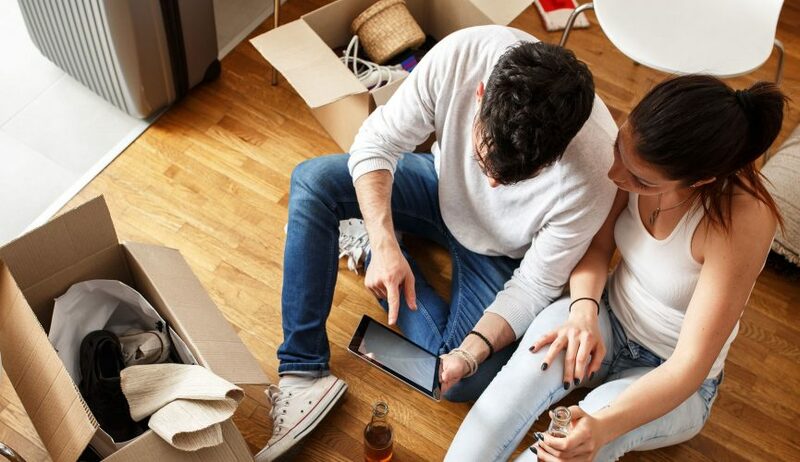 Different filing systems have different features, benefits, and costs, and your choice will depend on your business needs. Some examples include PDFelement for Business to edit and store your PDF and scanned documents or CrashPlan easily back-up your documents. Most if not all normal business activities, can be done digitally. Sharing of information within and outside the office can be done online through the use of email. Creating an internal memo and sharing it through email will ensure that your employees receive any updates or instructions without wasting time and paper printing the same. 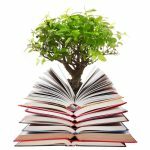 In an era where people are increasingly becoming environmentally conscious, going paperless can be a source of competitive advantage for your business. Paper, the evergreen in the Worlds necessities for as long as we can remember. A medium of knowledge, poetry, hidden conversations carrying the most of human recorded history. We use it in our everyday lives more than almost anything else. 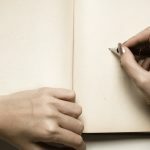 It is an everlasting human invention that is widely used even today alongside developed technologies and computers we use, still the first thing we reach out for when trying to make a quick note on something or just waste time and doodle. 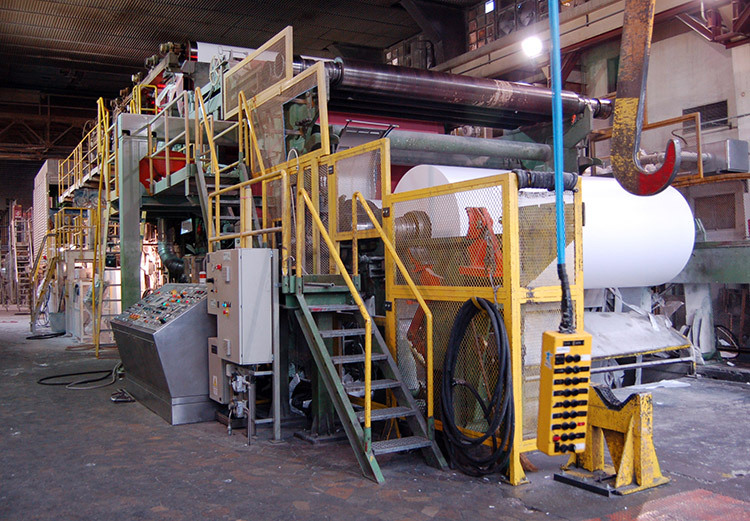 How is our paper manufactured? Although we know about Egyptians and papyrus, first ever recorded evidence of paper manufacturing as we know it today comes from ancient China some 2000 years ago. 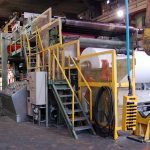 Although very little has changed over the years in paper manufacturing, modern technologies describe somewhat different process. 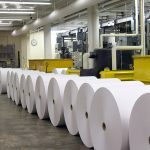 Although new technologies in manufacturing are being discovered and used one might think we’ve started using different kinds of paper manufacturing material. But, would you believe it? Your everyday paper is still produced and comes from same old raw material as it ever did – trees. Even the manufacturing process itself is pretty much the same, except today it is being modernised and we’ve managed to recycle old used paper in the process of manufacturing new. However, mostly used material for precious cellulose are still tree trunks. 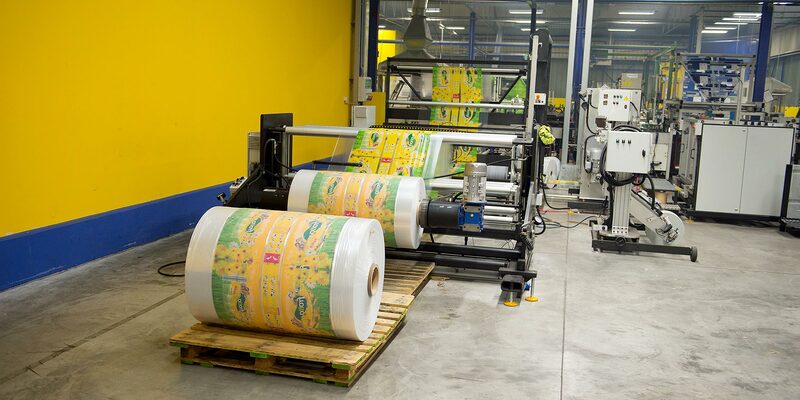 Modern day paper manufacturers grow their own paper tree plantations. Most common trees for paper manufacturing these days are still pretty much the same as always and these are usually pine, birch, eucalyptus and conifer. The process of paper manufacturing starts at these plantations or woods with trees being felled and transported to factories. Trees arrive at mills where they are finely cut and debarked. Debarked logs are then cut into small pieces/wood chips. Bark isn’t usually used in the paper making process, instead it’s being used as a fuel/energy resource. Next step in the line is so called chemical pulping. Small wood pieces are being cooked, thus burning unnecessary lignin and other organic materials that cannot be used in the process of paper manufacturing. Once the wood is cooked it undergoes mechanical pulping which blends wood chips into paper fibre. At this point fibres resemble a soaking mush of paper, but still we’re not there just yet. After that the bleaching of fibres starts. Bleaching is what makes our paper appear in familiar white colour. Fibres of are then washed once again and dried forming a watery substance called pulp that is ready to get converted into paper. Usually some other ingredients are added to the fibre such as glue or even cotton fibre. Machine ensures that paper is evenly thick and ready for the next phase of our paper manufacturing process- coating and colouring. Paper is then pushed once more, through series of cylinders where it is being sprayed with colour and coating film giving paper its final shine. Finally, we come to the finishing process where paper is being rolled onto reels. These massive reels of paper are then fed to the cutting machine that cuts paper into an even white sheets of papery goodness being ready to be transported to warehouses. In those warehouses pallets and roles of paper sheets are then carefully wrapped up. 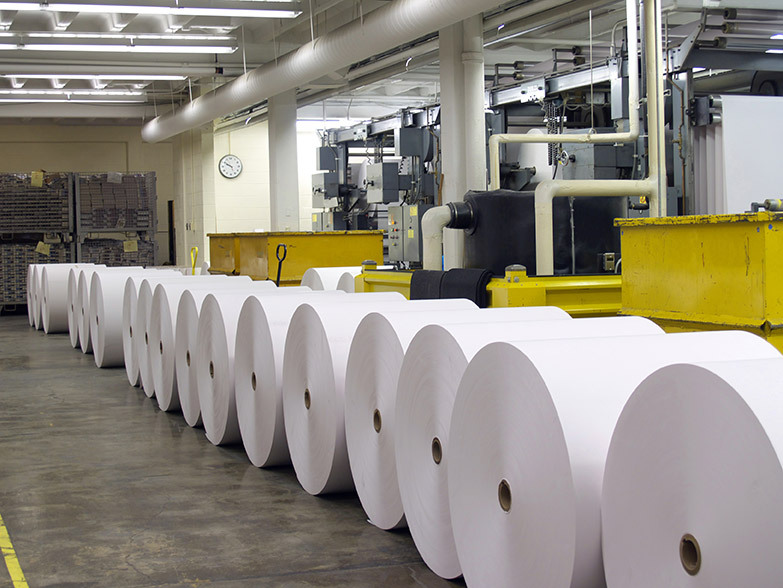 Paper manufacturing process finishes in paper ready to start its sole purpose journey. Journey ultimately leading it to us. Helping us make imprint of our everyday situations, memories and existence on this earth, but often not giving it a single thought about the hard and dreary process our omnipresent friend went through to be there just when we need it. There are lots of different specialty papers in use today. 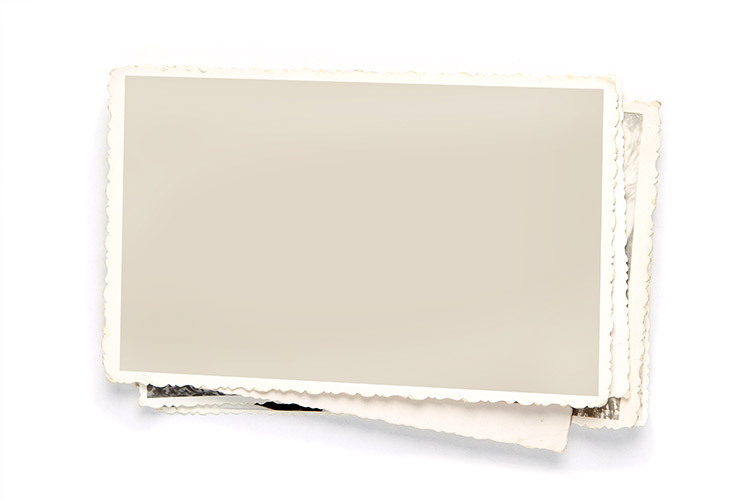 Photographic papers qualify as specialty papers, given that they are fairly streamlined in terms of their purpose. Specialty papers are common for photographers and a lot of other artists. The light-sensitive chemical formula used to coat the papers reacts with the chemicals used for processing photographs producing some very high quality prints. For brochure, catalogue and other printed material you can employ a fulfilment house to distribute your paper catalogues. A lot of photographers swear that the quality of the picture is better for the people who use photographic papers and who create the prints themselves. The photographic papers are layered with a sort of chemical that is sensitive to light, and this is what allows the photographic papers to work as well as they do for so many people. Artists will use certain types of paper for sketches, certain types for watercolours, and other types of paper for almost all of the other types of media that people will usually imagine. Even different pencils require different types of paper in many cases. Certain professionals use specialty papers. Graphing paper is common for engineers and architects, for instance, even in a world where they do a lot of their work digitally. Other professionals are going to have their own special paper that is made in order to conform to specific requirements, and few other people will use these niche pieces of paper. 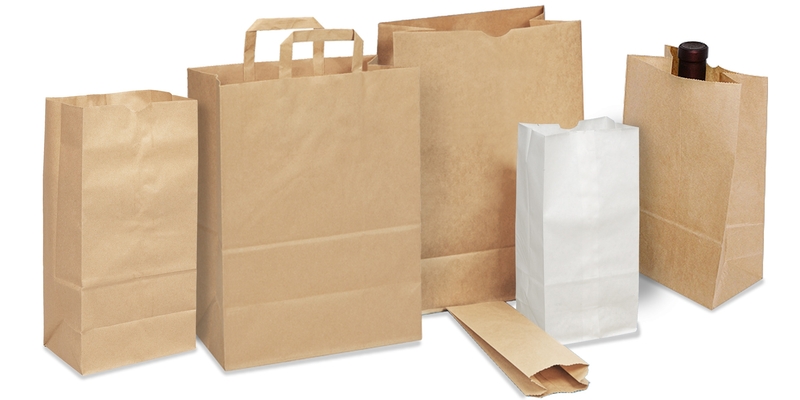 Paper is made from wood fibre originally from sawmills, recycled cloth, vegetable matter, and recycled newspaper. Different types of cellulose fibres from different types of wood are used in the production of paper in many cases. 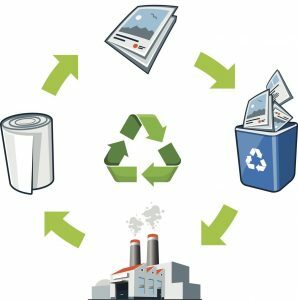 While a lot of people go out of their way to make sure that they use recycled paper and this is certainly a good thing, it should be noted that many of the materials that are used to make paper in the first place are recycled. The paper that is made entirely from pure wood pulp is called virgin paper, and it is rarer than a lot of people think. A lot of paper is made from discarded paper material or recycled boards. Paper weight is measured in grams – the grammage is a measure of the thickness of the paper. For instance, paper that might have a weight at the 140lb index level will have a grammage of 255 gsm. Paper that has a higher index level can actually be thinner in some cases than paper that has a lower index level. A higher grammage level is going to mean that the paper type in question is going to be heavier and thicker.